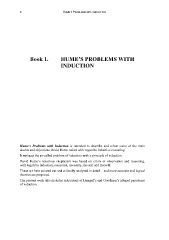 doubts and objections David Hume raised with regard to inductive reasoning. It replaces the so-called problem of induction with a principle of induction. with regard to induction, causation, necessity, the self and freewill.